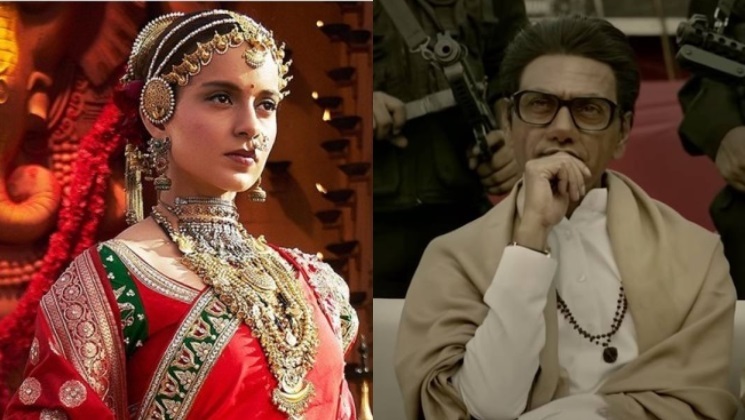 In the clash of titans: Nawazuddin Siddiqui starrer ‘Thackeray’ and Kangana Ranaut starrer ‘Manikarnika’ the first-day collection was good. On the second day, the box office collection of the historical movie and the biopic has shown tremendous growth to the delight of the fans. On Friday the first day of their release where ‘Manikarnika’ managed to collect Rs 8.75 crore, on the other hand, Nawazuddin Siddiqui starer collected around Rs 6 crore on day 1. On day 2 the movies picked up and the box office collections escalated all thanks to the Republic Day Holiday. On Saturday, Thackeray, a biopic on Shiv Sena supremo Bal Thackeray, registered 75-80 per cent occupancy across the country on day 2 which is almost double than Friday. It has managed to collect Rs 9 crore (approximately) on the second day of its release. A good figure on the biopic of Shiv Sena supremo BalaSaheb Thackeray. On Friday, Kangana Ranaut‘s historical biopic on warrior Queen Rani Lakshmi Bai of Jhansi collected Rs 8.75 crore and on Saturday all thanks to positive word of mouth it has managed to collect 18.10 cr. Total: ₹ 26.85 cr. This is truly good news for the makers as it proves that the historical drama is on a roll. Both Thackeray and Manikarnika are showing enough potential to rake in moolah at the box office and end the first month of the year on a positive note. The year 2019 is starting on a positive note for B-Town with most of its releases minting at the box office.